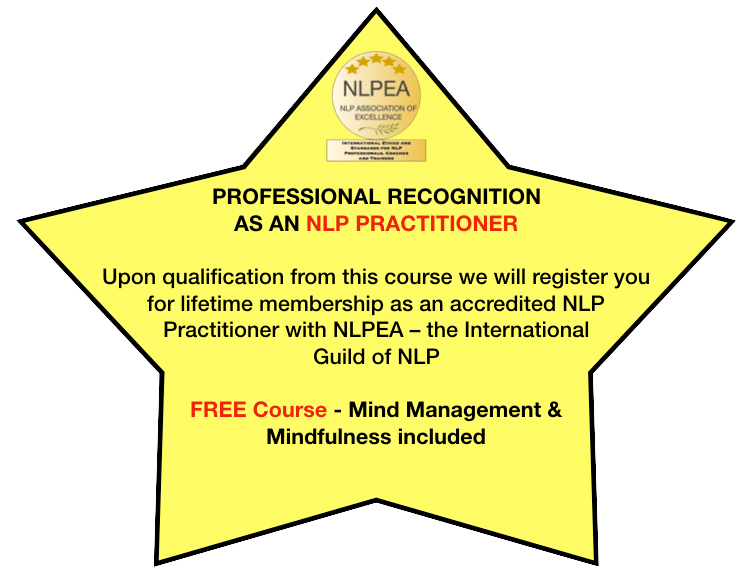 Trainer – Anthony Beardsell – NLPEA Master Trainer of NLP. INLPTA Trainer & ABNLP Master Practitioner. 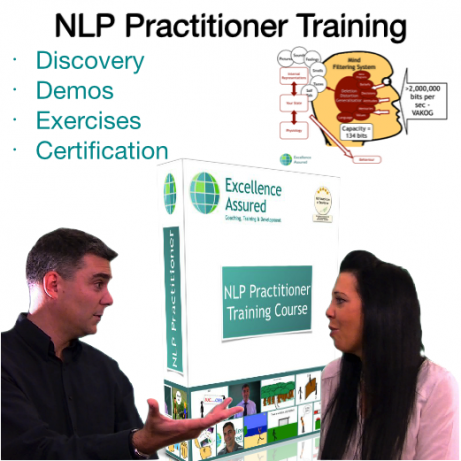 100+ NLP Practitioner videos, complimentary audios, Exercises, Demos, Course Manual. 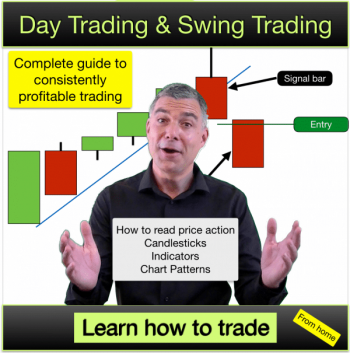 Free Tutorial Support and access to supporting webinars. Absolutely brilliant! Its been a great course and I’m very pleased with what I have learnt and can put together to keep on helping people!! Gain essential understanding of yourself and others. Learn how to transform your life. A complete foundation course in how to develop excellence. Open to students internationally – no entry requirements. This video based online training course provides two professionally recognised qualifications. Gain certification as an NLP Practitioner & NLP Coach. An introduction from your Trainer – Anthony Beardsell. Our NLP Practitioner course is going to change your thinking. It is going to change the way that you communicate with other people and it is going to open up a whole new world of possibility for you. 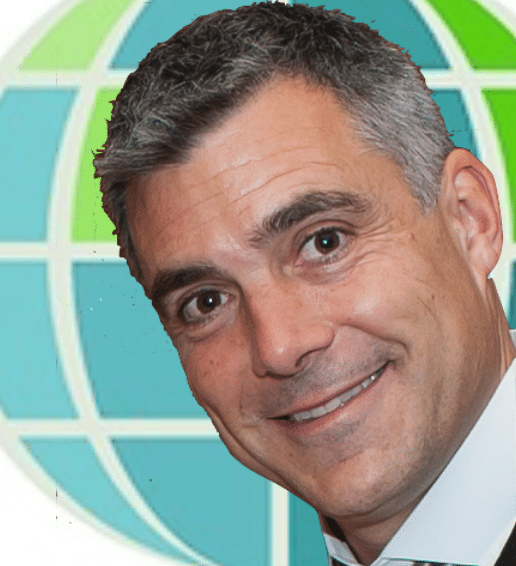 I (Anthony Beardsell – NLP Master Trainer) have had the pleasure of training others in NLP for many years now, and I have had plenty of opportunity to see the huge impact and transformation that learning NLP can create. If this is the beginning of your journey into NLP certification training then our NLP Practitioner course is the right choice for you. 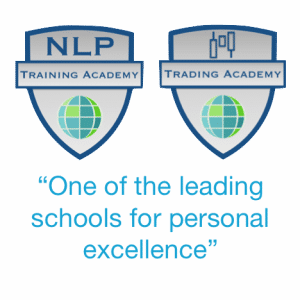 Over the years at Excellence Assured we have trained and certified hundreds of NLP Practitioners, Master Practitioners and Trainers from all over the world in our live and virtual training rooms. We welcome students from the UK and internationally to the magical world of NLP. It is an honour and a privilege to have the opportunity to open up the doors of NLP for you. We promise to make your journey into NLP as fun and special as ours was and that is what we will be doing on this NLP Practitioner course. 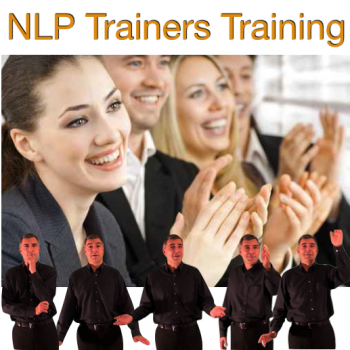 If you can’t be with us for an NLP training then let us bring the training to you. Over several years we have hand-crafted hundreds of videos to recreate the atmosphere and quality of learning experience that has come to be associated with our NLP training in the live room. We are proud to present an NLP Practitioner training course to you that you can take from the comfort of your own home and study at your own pace. We leave nothing out. Expect to have fun as you learn, expect to be challenged, expect to be stretched and know that you will be supported in your learning by our experienced course tutors. The title of an NLP Practitioner or Practitioner of NLP is highly cherished and internationally recognised. You will leave our course proud to say “I am a fully qualified NLP Practitioner and NLP Coach”. We will send your certificates to you when you qualify so that you have them for ever, you can hang them on your wall and can use them if you wish to further your career, enhance your CV or use them as professional recognition for your skills in working with other people. We take professional recognition seriously here at Excellence Assured. Our NLP courses are fully accredited by the independent and international body of NLP, the NLPEA. 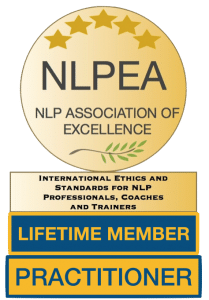 NLPEA are a not for profit force for good in NLP and Coaching and amongst other things their members do great work in advancing international awareness of mental health challenges using their NLP skills. Your certificates will carry their logo in recognition of your achievement. NLP is a big subject and this isn’t a quick distance learning course. There are hundreds of concepts, techniques and models for you to learn on this NLP Practitioner course. We make learning easy for you. For each subject we have videos which explain the concept in terms that you can relate to. We use diagrams and pictures in our videos to enable you to relate to the subject and make recall easier. Through our dedicated NLP Practitioner course video series, we fully explain a subject first of all, telling you what it is, what it relates to, how it works and how it can be used for yourself and with others. Then we demonstrate it to you. All in our videos. You are then ready to experiment and try it out for yourself. Each main subject area has exercises for you to do. NLP is experiential and this is a key aspect of your learning. Most exercises you can do as you go about your daily life, through observation and in talking with others. Some exercises require you to practice techniques and for this you can find a willing partner, spouse or family member. After completing the exercises we ask you to reflect on your experience and your learning. This is a great way to integrate the learning and to improve. We will ask you to answer certain questions that enable you to reflect constructively and provide a written summary. Your course tutor will review these reflections and provide feedback for you. It is through these self-reflection exercises that we can judge your learning and your new skills. This is how we assess our students and the means by which you earn your accreditation and certification. This training is just the beginning of your journey. With your new NLP Practitioner qualification you may choose to work as an independent NLP Practitioner, helping others get better lives. This qualification will enable and support you in setting up your own practice and getting the necessary insurance to practice safely and professionally. The techniques and methods that you learn on this NLP Practitioner course are hugely powerful and influential in bringing about positive change. They are skills that will stay with you forever. As your trainer, it will be my special honour to work with you through this program and take you through the magical steps to NLP excellence. Thanks for listening. Join me inside your course. Thinking of going on to become an NLP Master Practitioner and NLP Trainer? We offer discounted packages that enable you to take two or all three NLP courses at the same time. 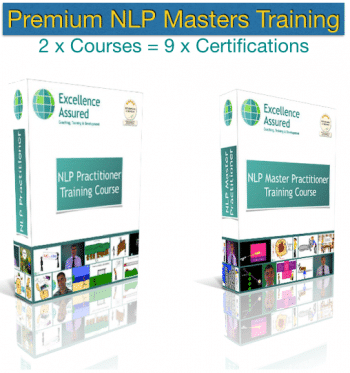 Our Premium NLP Masters package combines the NLP Practitioner and NLP Master Practitioner courses and gives you a super discount. 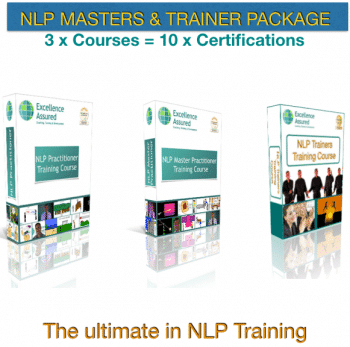 Finally our Ultimate NLP Masters & Trainer course enables you to take the whole series of three NLP courses at once and for a great discount. 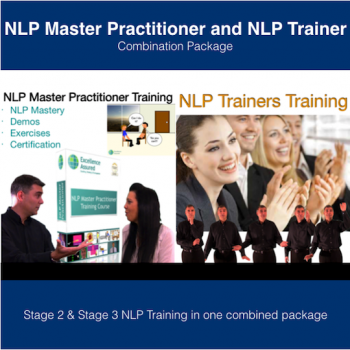 Combine the NLP Practitioner, NLP Master Practitioner and NLP Trainers courses into one ultimate NLP experience!